Somehow in the last few days I have managed to fit in a little sewing time- in all fairness, Mr HOC was away for work last night. I took advantage and stayed up late, and completed these flags for the To Boston With Love campaign for the Modern Quilt Guild. There are some amazing flags in the Flickr pool, and they are going to look fantastic adorning the Museum of Fine Arts in Boston. I really enjoyed just randomly cutting and sewing these, and I only wished I had more time, I might have done some hand quilting on them, it was calling to me to do it, maybe for the "next" project! 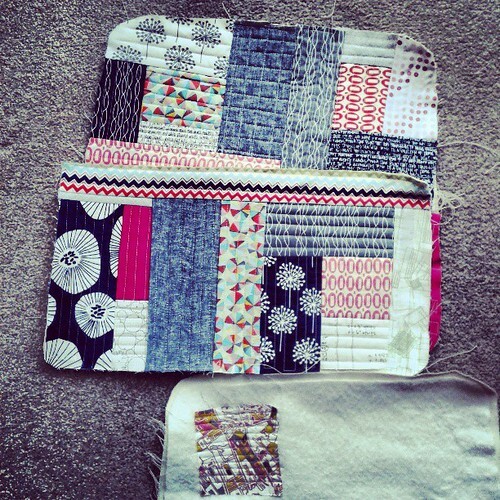 A little progress was also made on the first side and pocket of my Weekender Bag- which is good really as I want to have it done in time for the next meeting of the East Midlands Modern Quilt Guild, on the 1st of June, just 2 weeks on Saturday- best get my skates on then!!! 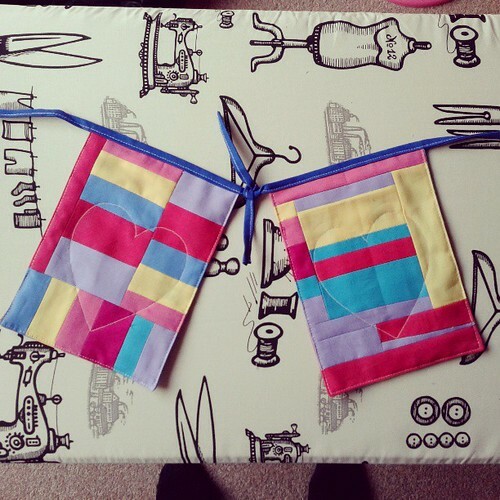 Lovely little flags, and your weekender is going to be amazing! 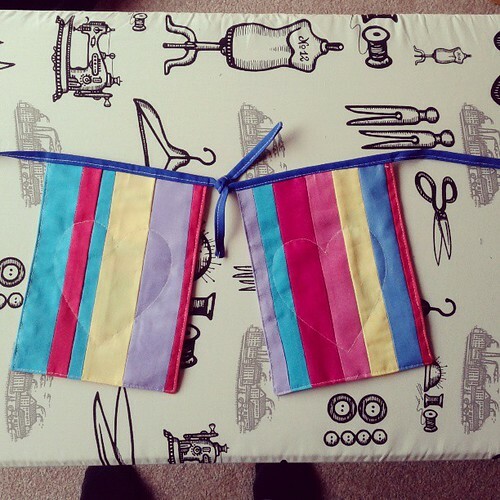 The instructions for the Weekender are bewildering me but then I was just looking at them and not trying to follow them, let me know if you find them OK.
your flags are perfect and I am anxious to see how your weekender comes together. ahhh, those flags are pretty! You'd better have your Weekender done or we won't let you in the door! I had forgotten I was supposed to be taking mine for show and tell!